All round the coast except for parts of the Northeast. 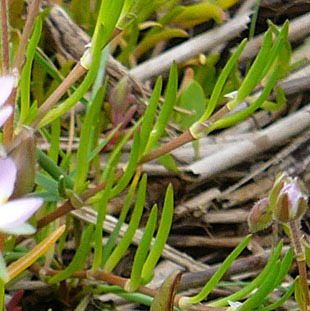 It grows on saltmarshes and muddy beaches. 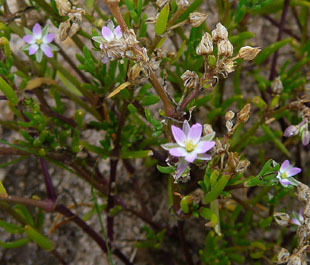 Flowers are pale, violet-pink with a white centre, and up to 12mm. 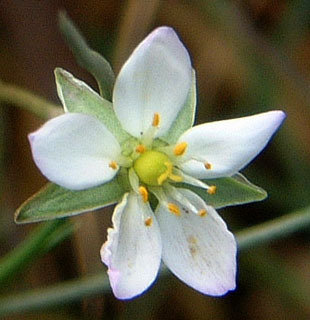 There is also a white form. 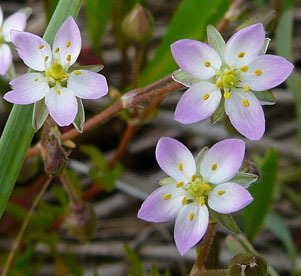 Petals are slightly longer or equal to the sepals. 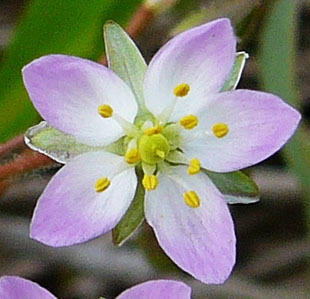 There are 10 stamens and 3 stigmas. 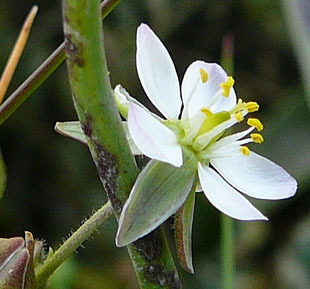 a small bristle. 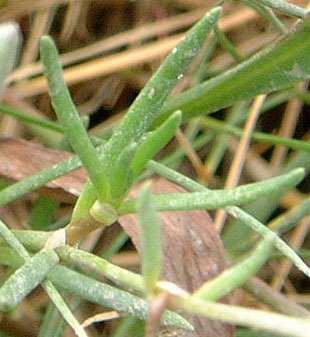 There are small stipules.